Shop kids' cartoon shoes from our Fun Lab Collection! 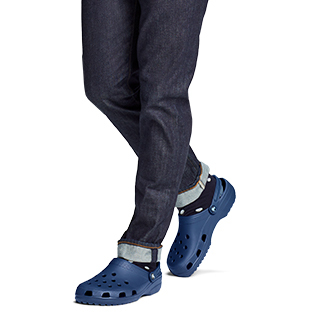 Your kids will love looking down at their feet and seeing their favorite cartoon characters. 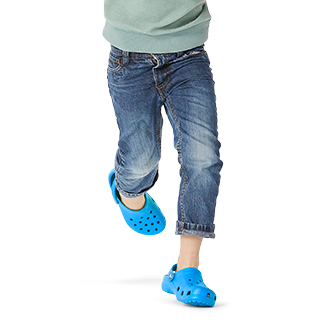 The little boy in your life can run around with the Paw Patrol™ or our light up Crocs in easy to wear shoes with original Croslite™ foam cushion. Your little girl with love playing with our rainbow and unicorn shoes that light-up and sparkle as she runs. She can even play with Elsa™ and her other favorite ©Disney princesses with our character shoes. They'll love these cartoon character shoes so much, they'll never want to take them off! Find even more varieties of styles and colors to choose from. 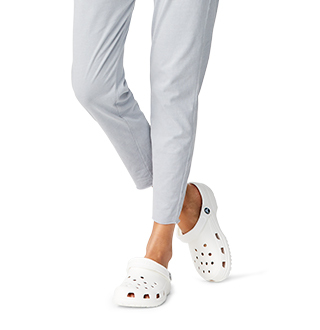 Shop character shoes for kids from Crocs! Looking for more children’s shoes? 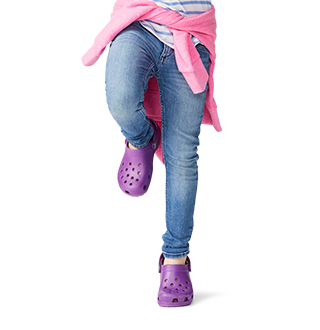 Our full collection of kid’s shoes has even more styles your little one is sure to love!